Some police departments used to strive for "less-lethal" weaponry, leading to an influx of options like bean-bag guns, LRAD sound cannons, and all varieties of sprays and chemicals to subdue (but not kill) their targets. 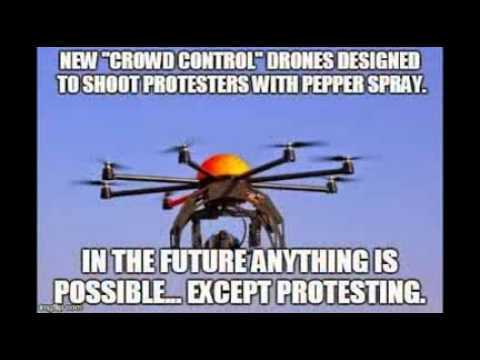 Now, that premise has taken flight on a whole new level: pepper-spray drones. We can't even control cops that over-use pepper spray...will machines do any better? As reported by the Mirror, Indian police have now added a variant to death from above: scorching, stinging pain from above, via drones bearing canisters of pepper spray. The police forces of Lucknow, in Northern India, have five such flying furies. Each drone has the capacity to carry two kilos of pepper spray as well as onboard cameras, to better assess targets. Well, it's at least nice they're not firing pepper spray into civilian crowds indiscriminately. The pepper spray is non-lethal but causes extreme pain and possibly temporary blindness. Police who tested the devices say that the results were "brilliant." The drones are able to disperse their peppery payload from a variety of heights for better saturation or wind exposure. Smile for the camera! Don't let the pepper spray make you blink! 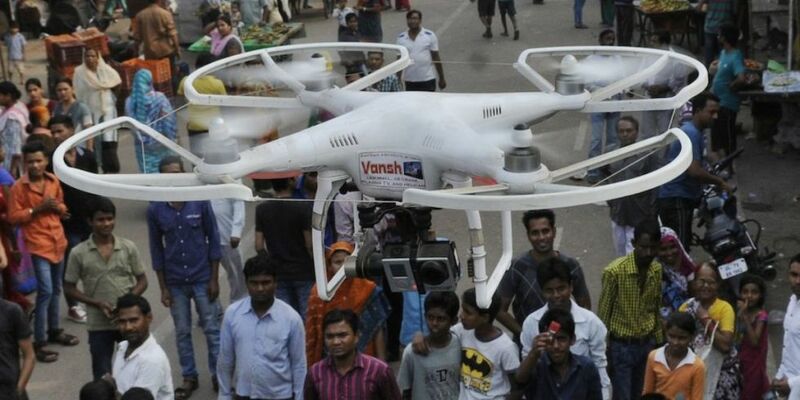 While the police maintain that the drones are merely to be used for surveillance and crowd control during religious festivals, other nations have rules that prohibit such flights over large groups. In the UK, drones cannot be present near public groups of over 1,000 people, or within 150 meters of a congested area. South Africa, on the other hand, is on board with drones that fire pepper paintballs. Across the pond, America is still sorting out the rules regarding drone use state-by-state. However, the FAA have laid some ground (well, air) rules. Surely we could try to, you know, fix the issues that cause mass protests, right?